· Where do raw materials come from? · Where is steel used? 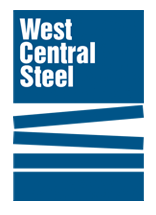 West Central Steel is a carbon steel service cetner and parts manufacturer known for quick response to customer's needs. With 250,000 square feet of warehouse/production space, using the latest digital tools to manage inventory and traceability of the steel and over 20 different processing machines spanning from 3D plasma cutting and 3D lasters to a 30 foot, 1100 press brake for large capacity bending. Come and see how the steel moves from the steel mills to manufacturers when they need it, in the right sizes with the reliability they can trust. Tour Requirements: Closed Toed Shoes are required. West Central Steel will provide safety glasses and hard hats.